Selfridge Air National Guard Base (ANGB) is located near Mount Clemens, Michigan. The host unit is the 127th Wing of the Michigan Air National Guard. 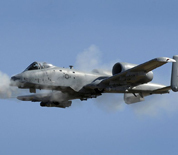 The Wing conducts refueling and fighter operations using the KC-135 Stratotankers and the A-10 Thunderbolt II. Additionally it supports the 107th Weather Flight. Located on base is the Selfridge Military Air Museum containing aerospace photographs and artifacts as well as an outdoor Air Park. This Selfridge ANGB directory features the critical info you’ll need to navigate through the many facilities and recreational opportunities available on base.